Resale prices of non-landed private homes dipped marginally in September by 0.3% month-on-month, according to flash estimates from SRX Property on Tuesday (Oct 14). 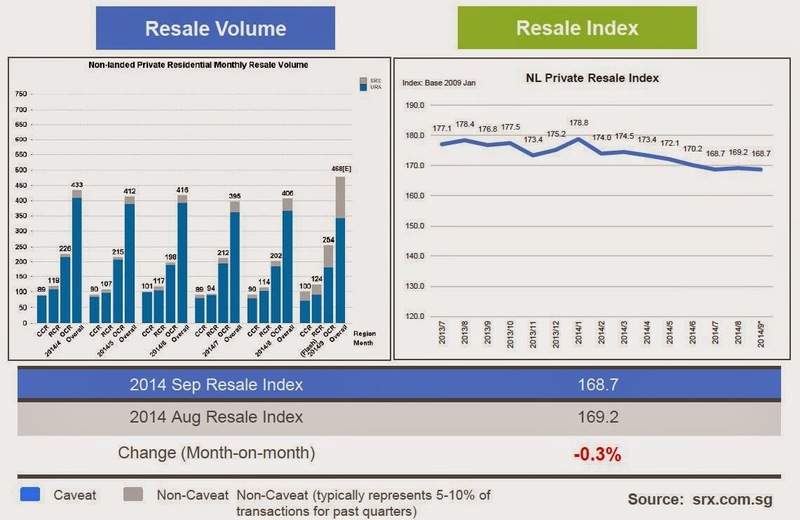 When compared with September 2013, resale prices of non-landed private homes have dropped 4.6%. Compared with the recent peak in January 2014, prices have declined 5.6%, SRX said. Resale prices of private homes in the Outside of Central Region dropped the most last month, falling 2.1% compared with August. In comparison, prices in the Core Central Region and Rest of Central Region rose by 0.9% and 2.9%, respectively. Resale volume rose sharply, with an estimated 468 non-landed private homes resold in September, up 15.3% from the 406 transacted units in August. The overall median Transaction Over X-value (TOX), which measures whether people are overpaying or underpaying the SRX Property X-Value estimated market value, remained at -$2,000 last month, up from -$10,000 in August. 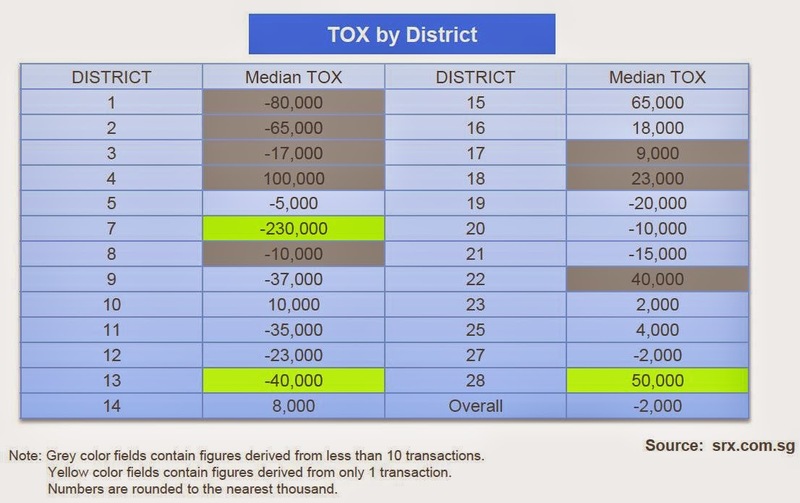 For districts with more than 10 resale transactions, districts 10, 15 and 16 saw a positive median TOX, with district 15 posting the highest median TOX of $65,000, followed by district 16 with $18,000 and district 10 with $10,000. Conversely, district 9, 11 and 12 had the lowest median TOX with -$37,000, -$35,000 and -$23,000, respectively. As for rental transactions, the number of non-landed private homes rented out last month was 3,171 – a 14% decline from August. 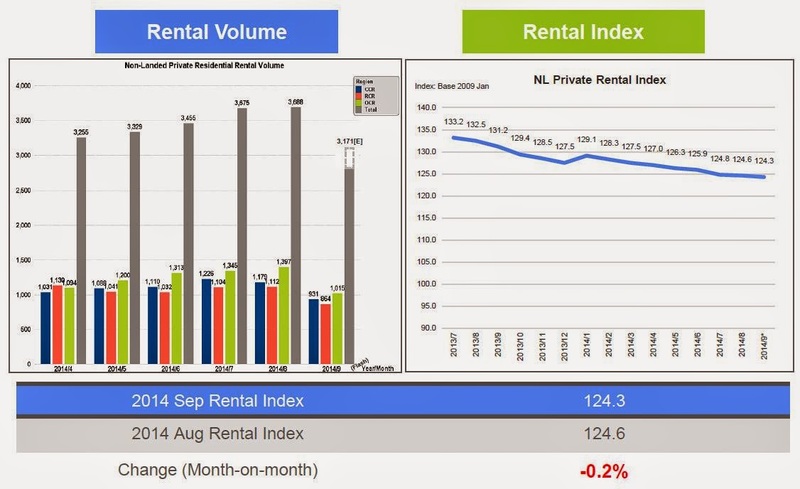 Year-on-year, rental volume improved by 8.7% from the 2,916 units rented in September 2013. However, rental prices continued declining, slipping 0.2% from the previous month – the eighth consecutive month of decline. The decline was greatest in the Outside of Central Region at 0.9% and the Rest of Central Region at 0.6%. Units in the Core Central Region saw a rent increase of 0.3%, SRX said. No Comment to " SRX: September resale prices down slightly "